Despite hitting a soft spot in the first quarter, Virginia Beach home sales are expected to make a strong showing in the second half of 2014, NAR’s Chief Economist Lawrence Yun told brokers at the Broker Summit in Atlanta Thursday. Another piece of good news for Virginia Beach real estate is that inventory is heading up nationwide, Yun says. 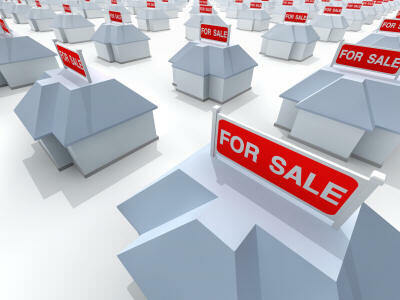 The total housing inventory at the end of June rose 2.2 percent to 2.30 million existing homes for sale. Research shows that consumers feel more confortable visiting 10 to 15 homes before making a purchase decision, Yun says, and as inventories come back, so will buyer confidence and sales.Declining unemployment is a good sign for housing. However,more people are claiming disability, and rarely do they return to the workforce, Yun says. What’s more, the unemployment statistics are not considering Americans who aren’t collecting unemployment and who have essentially dropped out of the labor force. “For your business planning purposes, you don’t want to grow for growing sake, but you can anticipate there will be more home buying act in the next few years,” he says. Forecast 1: Higher inflation and higher interest rates. The Federal Reserve is planning to end its purchasing of Treasury and mortgage-backed securities in October. Yun expects interest rates to increase in 2015. He also expects Consumer Price Index (CPI), which measures inflation, to increase 3.5 percent in 2015. Forecast 2: Multi-year housing expansion. The population is on the rise. The U.S. gained 34 million people since 2000, but home sales were 5.2 million in 2000 and 5.1 million in 2013. The pent up demand will eventually equate to additional homes sales over the next few years, Yuns says. Forecast 3: Continued inequitable wealth distribution. Household net worth is at an all time high, but only for the 10 percent of U.S. population that has investments in the stock market. At the same time, rents are rising and incomes are generally stagnant. This entry was posted in Buyer Info, Home Ownership, Seller Info, Uncategorized by remaxalliancevb. Bookmark the permalink.